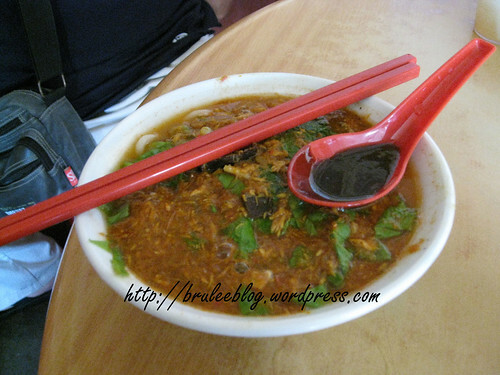 This is another dish I had at one of the kopitiams (apologies for the blurriness). 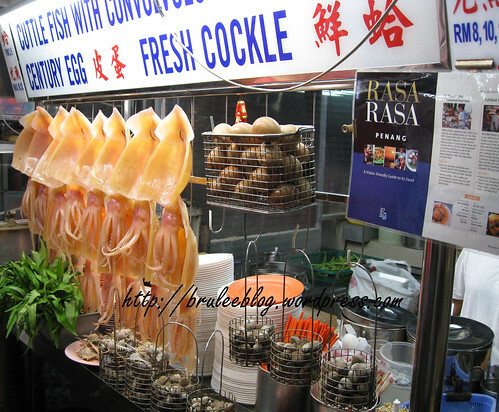 Rojak is a kind of salad found in Malaysia, Singapore, and Indonesia. 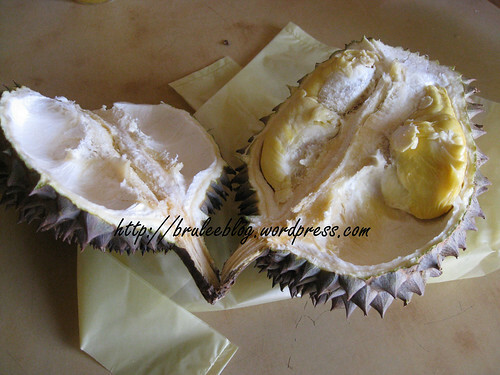 This specific one pictured here is one made of fruit. 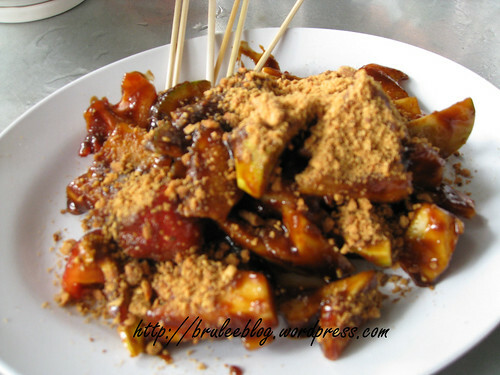 Fruit rojak consists typically of cucumber, pineapple, turnip (jicama), bean sprouts, taupok (puffy, deep-fried tofu) and youtiao (cut-up Chinese-style fritters). Raw mangoes and green apples are less commonly used. 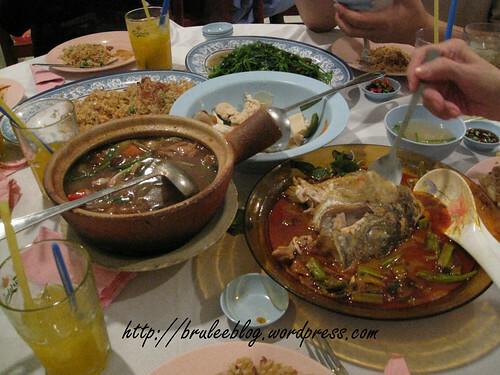 The dressing is made up of water, belacan (shrimp paste), sugar, chili, and lime juice. 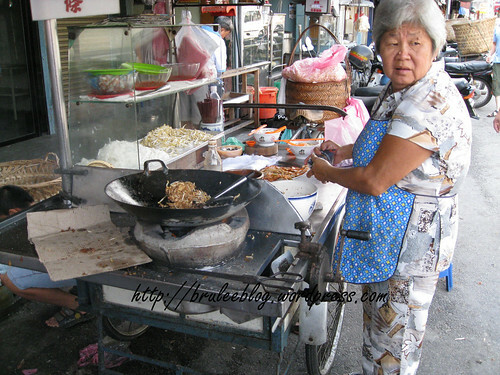 Ingredients vary among vendors with some also using hae ko prawn/shrimp paste, tamarind or black bean paste in the mix. 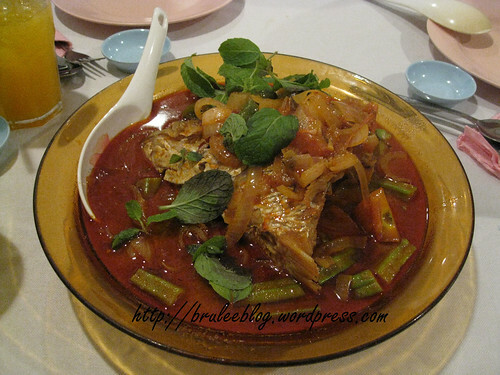 The ingredients are cut into bite-sized portions and tossed in a bowl with the dressing and topped with chopped peanuts and a dash of ground or finely chopped bunga kantan (pink ginger bud). 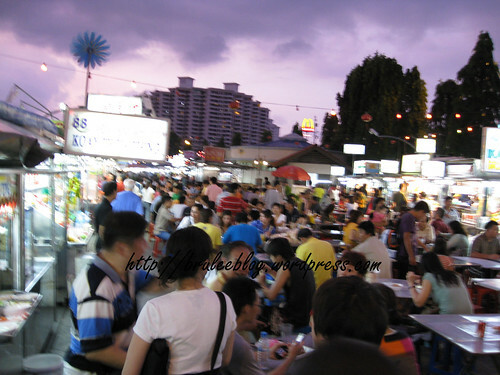 Penang Rojak is another type of Rojak found in Penang, Malaysia. 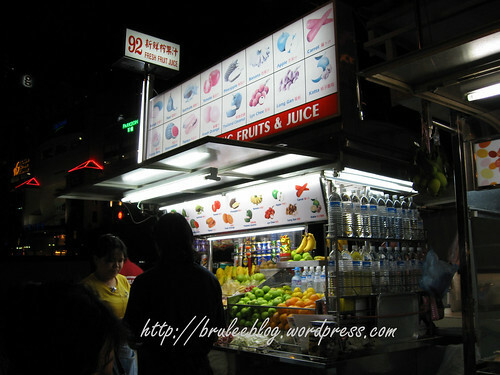 It is similar to fruit rojak, but adds jambu air (Water apple), squid fritters and honey to the mixture. It was an odd mixture of the salty and sweet dressing, layered on top of the fresh tastes of fruit and cucumber. While it was interesting to try, it’s not something that I would go out of my way to look for.